This article is about the film series released between 2001 and 2003. For other films based on The Lord of the Rings, see Middle-earth in film. Set in the fictional world of Middle-earth, the films follow the hobbit Frodo Baggins (Elijah Wood) as he and the Fellowship embark on a quest to destroy the One Ring, to ensure the destruction of its maker, the Dark Lord Sauron. The Fellowship eventually splits up and Frodo continues the quest with his loyal companion Sam (Sean Astin) and the treacherous Gollum (Andy Serkis). Meanwhile, Aragorn (Viggo Mortensen), heir in exile to the throne of Gondor, along with Legolas (Orlando Bloom), Gimli (John Rhys-Davies), Merry (Dominic Monaghan), Pippin (Billy Boyd) and the wizard Gandalf (Sir Ian McKellen), unite to rally the Free Peoples of Middle-earth in the War of the Ring in order to aid Frodo by weakening Sauron's forces. The series was met with overwhelming praise. It was a major financial success, and is among the highest-grossing film series of all time. Each film was critically acclaimed and heavily awarded, winning 17 out of their 30 Academy Award nominations. The series's final film, The Return of the King, won all 11 of its Academy Award nominations including Best Picture, tying with Ben-Hur (1959) and Titanic (1997) for the record of most Academy Awards won by a single film. The series received wide praise for its innovative special and visual effects. In 1995, Jackson was finishing The Frighteners and considered The Lord of the Rings as a new project, wondering "why nobody else seemed to be doing anything about it". With the new developments in computer-generated imagery following Jurassic Park, Jackson set about planning a fantasy film that would be relatively serious and feel real. By October, he and his partner Fran Walsh teamed up with Miramax Films boss Harvey Weinstein to negotiate with Saul Zaentz who had held the rights to the book since the early 1970s, pitching an adaptation of The Hobbit and two films based on The Lord of the Rings. Negotiations then stalled when Universal Studios offered Jackson a remake of King Kong. Weinstein was furious, and further problems arose when it turned out Zaentz did not have distribution rights to The Hobbit; United Artists, which was in the market, did. By April 1996, the rights question was still not resolved. Jackson decided to move ahead with King Kong before filming The Lord of the Rings, prompting Universal to enter a deal with Miramax to receive foreign earnings from The Lord of the Rings while Miramax received foreign earnings from King Kong. It was also revealed that Jackson originally wanted to finish King Kong before The Lord of the Rings began. But due to location problems, he decided to start with The Lord of the Rings franchise instead. When Universal cancelled King Kong in 1997, Jackson and Walsh immediately received support from Weinstein and began a six-week process of sorting out the rights. Jackson and Walsh asked Costa Botes to write a synopsis of the book and they began to re-read the book. Two to three months later, they had written their treatment. The first film would have dealt with what would become The Fellowship of the Ring, The Two Towers, and the beginning of The Return of the King, ending with Saruman's death, and Gandalf and Pippin going to Minas Tirith. In this treatment, Gwaihir and Gandalf visit Edoras after escaping Saruman, Gollum attacks Frodo when the Fellowship is still united, and Farmer Maggot, Glorfindel, Radagast, Elladan and Elrohir are present. Bilbo attends the Council of Elrond, Sam looks into Galadriel's mirror, Saruman is redeemed before he dies and the Nazgûl just make it into Mount Doom before they fall. They presented their treatment to Harvey and Bob Weinstein, the latter of whom they focused on impressing with their screenwriting as he had not read the book. They agreed upon two films and a total budget of $75 million. During mid-1997, Jackson and Walsh began writing with Stephen Sinclair. Sinclair's partner, Philippa Boyens, was a major fan of the book and joined the writing team after reading their treatment. It took 13–14 months to write the two film scripts, which were 147 and 144 pages respectively. Sinclair left the project due to theatrical obligations. Amongst their revisions, Sam is caught eavesdropping and forced to go along with Frodo, as occurs in the original novel. In the final treatment Sam, Merry, and Pippin infer the existence of One Ring and voluntarily go along after confronting Frodo about it. Gandalf's account of his time at Orthanc was pulled out of flashback and Lothlórien was cut, with Galadriel doing what she does in the story at Rivendell. Denethor attends the Council with his son. Other changes included having Arwen rescue Frodo, and the action sequence involving the cave troll. The writers also considered having Arwen absorb Éowyn's role entirely by having her kill the Witch-king. Trouble struck when Marty Katz was sent to New Zealand. Spending four months there, he told Miramax that the films were more likely to cost $150 million, and with Miramax unable to finance this, and with $15 million already spent, they decided to merge the two films into one. On 17 June 1998, Bob Weinstein presented a treatment of a single two-hour film version of the book. He suggested cutting Bree and the Battle of Helm's Deep, "losing or using" Saruman, merging Rohan and Gondor with Éowyn as Boromir's sister, shortening Rivendell and Moria as well as having Ents prevent the Uruk-hai from kidnapping Merry and Pippin. Upset by the idea of "cutting out half the good stuff" Jackson balked, and Miramax declared that any script or work completed by Weta Workshop was theirs. Jackson went around Hollywood for four weeks, showing a thirty-five-minute video of their work, before meeting with New Line Cinema's Mark Ordesky. At New Line Cinema, Robert Shaye viewed the video, and then asked why they were making two films when the book was published as three volumes (this was later corrected: New Line only made this choice out of economical reasons); he wanted to make a film trilogy. Now Jackson, Walsh, and Boyens had to write three new scripts. The expansion to three films allowed much more creative freedom, although Jackson, Walsh, and Boyens had to restructure their script accordingly. The three films do not correspond exactly to the trilogy's three volumes, but rather represent a three-part adaptation. Jackson takes a more chronological approach to the story than did Tolkien. Frodo's quest is the main focus, and Aragorn is the main sub-plot, and many sequences (such as Tom Bombadil) that do not contribute directly to those two plots were left out. Much effort was put into creating satisfactory conclusions and making sure exposition did not bog down the pacing. Amongst new sequences, there are also expansions on elements Tolkien kept ambiguous, such as the battles and the creatures. During shooting, the screenplays continued to evolve, in part due to contributions from cast members looking to further explore their characters. Most notable amongst these rewrites was the character Arwen, who was originally planned as a warrior princess, but reverted to her book counterpart, who remains physically inactive in the story (though she sends moral and military support). To develop fight and sword choreography for the series, the filmmakers employed Hollywood sword-master Bob Anderson. Anderson worked directly with the talent including Viggo Mortensen and Karl Urban to develop the film's many sword fights and stunts. Bob Anderson's role in The Lord of the Rings series was highlighted in the film Reclaiming the Blade. This documentary on sword martial arts also featured Weta Workshop and Richard Taylor, The Lord of the Rings illustrator John Howe and actors Viggo Mortensen and Karl Urban. All discussed their roles and work on the series as related to the sword. Principal photography for all three films was conducted concurrently in many locations within New Zealand's conservation areas and national parks. Filming took place between 11 October 1999 and 22 December 2000, a period of 438 days. Pick-up shoots were conducted annually from 2001 to 2003. The series was shot at over 150 different locations, with seven different units shooting, as well as soundstages around Wellington and Queenstown. Along with Jackson directing the whole production, other unit directors included John Mahaffie, Geoff Murphy, Fran Walsh, Barrie Osbourne, Rick Porras, and any other assistant director, producer, or writer available. Jackson monitored these units with live satellite feeds, and with the added pressure of constant script re-writes and the multiple units interpreting his envisioned result, he only got around four hours of sleep a night. Due to the remoteness of some of the locations, the crew would also bring survival kits in case helicopters could not reach the location to bring them home in time. The New Zealand Department of Conservation was criticised for approving the filming within national parks without adequate consideration of the adverse environmental effects and without public notification. The adverse effects of filming battle scenes in Tongariro National Park meant that the park later required restoration work. An example of Elvish armour from the films. Each film had the benefit of a full year of post-production time before its respective December release, often finishing in October–November, with the crew immediately going to work on the next film. In this period's later part, Jackson would move to London to supervise the scoring and continue editing, while having a computer feed for discussions to The Dorchester Hotel, and a "fat pipe" of Internet connections from Pinewood Studios to look at the special effects. He had a video link and 5.1 surround sound to organise meetings, and listen to new music and sound effects generally wherever he was. The extended editions also had a tight schedule at the start of each year to complete special effects and music. To avoid pressure, Jackson hired a different editor for each film. John Gilbert worked on the first film, Mike Horton and Jabez Olssen on the second and longtime Jackson collaborator Jamie Selkirk and Annie Collins on the third. Daily rushes would often last up to four hours, with scenes being done throughout 1999–2002 for the rough (4½ hours) assemblies of the films. In total, 1828 km (six million feet) of film was edited down to the 11 hours and 23 minutes (683 minutes) of Extended running time. This was the final area of shaping of the films, when Jackson realised that sometimes the best scripting could be redundant on screen, as he picked apart scenes every day from multiple takes. Howard Shore composed, orchestrated, conducted, and produced the trilogy's music. Howard Shore composed, orchestrated, conducted, and produced the trilogy's music. He was hired in August 2000 and visited the set, and watched the assembly cuts of The Fellowship of the Ring and The Return of the King. In the music, Shore included many (85 to 110) leitmotifs to represent various characters, cultures, and places - the largest catalogue of leitmotifs in the history of cinema, surpassing - for comparison - that of the entire Star Wars saga. For example, there are multiple leitmotifs just for the hobbits and the Shire. Although the first film had some of its score recorded in Wellington, virtually all of the trilogy's score was recorded in Watford Town Hall and mixed at Abbey Road Studios. Jackson planned to advise the score for six weeks each year in London, though for The Two Towers he stayed for twelve. As a Beatles fan, Jackson had a photo tribute done there on the zebra crossing. The score is primarily played by the London Philharmonic Orchestra (ranging from 93 to 120 players throughout the recording), London Voices, London Oratory School Schola boy choir, and many artists such as Ben Del Maestro, Enya, Renée Fleming, James Galway, Annie Lennox and Emilíana Torrini contributed. Even actors Billy Boyd, Viggo Mortensen, Liv Tyler, Miranda Otto (extended cuts only for the latter two), and Peter Jackson (for a single gong sound in the second film) contributed to the score. Fran Walsh and Philippa Boyens served as librettists, writing lyrics to various music and songs, which David Salo translated into Tolkien's languages. The third film's end song, "Into the West", was a tribute to a young filmmaker Jackson and Walsh befriended named Cameron Duncan, who died of cancer in 2003. Shore composed a main theme for The Fellowship rather than many different character themes, and its strength and weaknesses in volume are depicted at different points in the series. On top of that, individual themes were composed to represent different cultures. Infamously, the amount of music Shore had to write every day for the third film increased dramatically to around seven minutes. The music for the series turned out to be a success and has been voted best movie soundtrack of all time for the six years running, passing Schindler's List, Gladiator, Star Wars (1977), and Out of Africa respectively. Sound technicians spent the early part of the year trying to find the right sounds. Some, such as animal sounds like those of tigers and walruses, were bought. Human voices were also used. Fran Walsh contributed to the Nazgûl scream and David Farmer the Warg howls. Other sounds were unexpected: the fell beast's screech is taken from that of a donkey, and the mûmakil's bellow comes from the beginning and end of a lion's roar. In addition, ADR was used for most of the dialogue. The technicians worked with New Zealand locals to get many of the sounds. They re-recorded sounds in abandoned tunnels for an echo-like effect in the Moria sequence. 20,000 New Zealand cricket fans provided the sound of the Uruk-hai army in The Two Towers, with Jackson acting as conductor during the innings break of a one-day international cricket match between England and New Zealand at Westpac Stadium. They spent time recording sounds in a graveyard at night, and also had construction workers drop stone blocks for the sounds of boulders firing and landing in The Return of the King. Mixing took place between August and November at "The Film Mix", before Jackson commissioned the building of a new studio in 2003. The building, however, had not yet been fully completed when they started mixing for The Return of the King. The trilogy's online promotional trailer was first released on 27 April 2000, and set a new record for download hits, registering 1.7 million hits in the first 24 hours of its release. The trailer used a selection from the soundtrack for Braveheart and The Shawshank Redemption among other cuts. In 2001, 24 minutes of footage from the series, primarily the Moria sequence, was shown at the Cannes Film Festival, and was very well received. The showing also included an area designed to look like Middle-earth. The Fellowship of the Ring was released 19 December 2001. It grossed $47 million in its U.S. opening weekend and made around $871 million worldwide. A preview of The Two Towers was inserted just before the end credits near the end of the film's theatrical run. A promotional trailer was later released, containing music re-scored from the film Requiem for a Dream. The Two Towers was released 18 December 2002. It grossed $62 million in its first U.S. weekend and out-grossed its predecessor with $926 million worldwide. The promotional trailer for The Return of the King was debuted exclusively before the New Line Cinema film Secondhand Lions on 23 September 2003. Released 17 December 2003, its first U.S. weekend gross was $72 million, and became the second film (after Titanic) to gross over $1 billion worldwide. The first two films were released on standard two-disc edition DVDs containing previews of the next film. The success of the theatrical cuts brought about four-disc Extended Editions, with new editing, added special effects and music. The extended cuts of the films and the included special features were spread over two discs, and a limited collector's edition was also released. The Fellowship of the Ring was released on 12 November 2002, containing 30 minutes more footage, an Alan Lee painting of the Fellowship entering Moria, and the Moria Gate on the back of the sleeve; an Argonath-styled bookend was included with the Collector's Edition. The Two Towers, released on 18 November 2003, contained 44 minutes extra footage and a Lee painting of Gandalf the White's entrance; the Collector's Edition contained a Sméagol statue, with a crueller-looking statue of his Gollum persona available by order for a limited time. The Return of the King was released on 14 December 2004, having 51 minutes more footage, a Lee painting of the Grey Havens and a model of Minas Tirith for the Collector's Edition, with Minas Morgul available by order for a limited time. The Special Extended DVD Editions also had in-sleeve maps of the Fellowship's travels. They have also played at cinemas, most notably for a 16 December 2003 marathon screening (dubbed "Trilogy Tuesday") culminating in a late afternoon screening of the third film. Attendees of "Trilogy Tuesday" were given a limited edition keepsake from Sideshow Collectibles containing one random frame of film from each of the three movies. Both versions were put together in a Limited Edition "branching" version, plus a new feature-length documentary by Costa Botes. The complete series was released in a six-disc set on 14 November 2006. Warner Bros. released the trilogy's theatrical versions on Blu-ray Disc in a boxed set on 6 April 2010. An extended edition Blu-ray box set was made available for pre-order from Amazon.com in March 2011 and was released on 28 June 2011. Each film's extended Blu-ray version is identical to the extended DVD version; the total running time is longer due to added credit sequence listing the names of "Lord of the Rings fan-club members" who contributed to the project. In 2014, brand new Blu-ray steelbook editions of the five-disc Extended Editions were released. The first, The Fellowship of the Ring, was released on 24 March 2014. The discs are identical to those found in the previous five-disc Blu-ray set. Unadjusted for inflation, The Lord of the Rings film series is the highest-grossing film trilogy worldwide of all time, higher even than other film franchises such as the original Star Wars trilogy and The Godfather trilogy. The film series grossed a total of $2.91 billion and also tied a record with Ben-Hur and Titanic for the total number of Academy Awards won for a single film, with The Return of the King receiving eleven Oscars. The majority of critics have also praised the series, with Kenneth Turan of the Los Angeles Times writing that "the trilogy will not soon, if ever, find its equal". Some were critical of the films' pacing and length: "It's a collection of spectacular set pieces without any sense of momentum driving them into one another" according to Philadelphia Weekly. On Rotten Tomatoes, the films received approval ratings of 91%, 95%, and 93% respectively. Metacritic, based on its ratings for each film (92, 87, and 94 respectively), features the series within the top ten of the best films of the decade. As of July 2016, every film is placed in the top 200 of Metacritic's 'Best Movies of all Time' list. In CinemaScore polls conducted during the opening weekend, cinema audiences gave the films an average grade of A-, A, and A+ respectively on an A+ to F scale. The series appears in the Dallas-Fort Worth Film Critics Association's Top 10 Films, Time magazine's All-Time 100 Movies, and James Berardinelli's Top 100. In 2007, USA Today named the series as the most important films of the past 25 years. Entertainment Weekly put it on its end-of-the-decade, "best-of" list, saying, "Bringing a cherished book to the big screen? No sweat. Peter Jackson's trilogy — or, as we like to call it, our preciousssss — exerted its irresistible pull, on advanced Elvish speakers and neophytes alike." Paste Magazine named it one of the 50 Best Movies of the Decade (2000–2009), ranking it at No. 4. In another Time magazine list, the series ranks second in "Best Movies of the Decade". Empire magazine voted the films at #1 on the '32 Greatest Film Trilogies'. In addition, six characters and their respective actors made the list of 'The 100 Greatest Movie Characters', also compiled by Empire, with Viggo Mortensen's portrayal of Aragorn ranking No. 15, Ian McKellen's portrayal of Gandalf ranking No. 30, Ian Holm's portrayal of Bilbo Baggins (shared with Martin Freeman for his portrayal of the same character in The Hobbit films) ranking No. 61, Andy Serkis' portrayal of Gollum ranking No. 66, Sean Astin's portrayal of Samwise Gamgee ranking No. 77, and Orlando Bloom's portrayal of Legolas ranking No. 94. The three films together were nominated for a total of 30 Academy Awards, of which they won 17, a record for any movie trilogy (the three nominations for The Hobbit: An Unexpected Journey and The Hobbit: The Desolation of Smaug along with the single nomination for The Hobbit: The Battle of the Five Armies brings the series' total to 37 nominations). The Fellowship of the Ring earned thirteen nominations, the most of any film at the 74th Academy Awards, winning four. The Return of the King won in every category in which it was nominated, setting the current Oscar record for the highest clean sweep, and its 11 Academy Awards wins ties the record held by Ben-Hur and Titanic (though both of those films had additional nominations that they ultimately lost). The Return of the King became only the second sequel to win the Oscar for Best Picture (after The Godfather Part II) and the first fantasy film to receive this honor, though this has been widely perceived as an award by proxy for the entire series (the first two films were also nominated for Best Picture). No actors in any of the three films won Oscars, and Ian McKellen was the only actor in the trilogy to receive a nomination, for his performance in The Fellowship of the Ring. As well as Academy Awards, each film in the series won the Hugo Award for Best Dramatic Presentation, the MTV Movie Award for Best Movie, and the Saturn Award for Best Fantasy Film. The first and third films also won the BAFTA Award for Best Film. The soundtrack for The Two Towers did not receive a nomination because of a rule prohibiting a soundtrack including music from a previous soundtrack to be eligible for nomination. This rule was changed in time for The Return of the King to receive the Oscar for Best Music Score. The New York Film Critics Circle awarded The Return of the King its Best Picture Award at the 2003 Awards Ceremony, hosted by Andrew Johnston, chair of the organization at that time, who called it "a masterful piece of filmmaking." The film series provoked both positive and negative reaction from fans and scholars of the novels, and was sometimes seen as changing parts Tolkien felt thematically necessary in terms of characters, themes, events and subtlety. Some fans of the book who disagreed with such changes have released fan edits of the films such as The Lord of the Rings: The Purist Edition, which removed many of the changes to bring them closer to the original. Various changes to characters such as Gandalf, Aragorn, Arwen, Denethor, Faramir, Gimli, and Frodo, when considered together, were seen by some to alter the tone and themes found in the books. Several critics contend that the portrayal of women, especially Arwen, in the films is thematically faithful to (or compatible with) Tolkien's writings despite some differences. Wayne G. Hammond, a Tolkien scholar, said of the first two films that he found them to be "travesties as adaptations... faithful only on a basic level of plot" and that many characters had not been depicted faithfully to their appearance in the novel. Other critics have argued that Tolkien's characters were weakened and misinterpreted by their portrayal in the films. Changes to events (such as the Elves participating at the Battle of Helm's Deep, Faramir taking the hobbits to Osgiliath, and the deletion of the chapter "The Scouring of the Shire") are also seen as changing Tolkien's themes. Janet Brennan Croft criticized the films using Tolkien's own terms "anticipation" and "flattening", which she used in critiquing a proposed film script. She contrasts Tolkien's subtlety with Jackson's tendency to show "too much too soon". Supporters of the series assert that it is a worthy interpretation of the book and that most of the changes were necessary. Many who worked on the series are fans of the book, including Christopher Lee, who (alone among the cast) had actually met Tolkien in person, and Boyens once noted that no matter what, it is simply their interpretation of the book. Jackson once said that to simply summarize the story on screen would be a mess, and in his own words, "Sure, it's not really The Lord of the Rings... but it could still be a pretty damn cool movie." Other fans also claim that, despite any changes, the films serve as a tribute to the book, appealing to those who have not yet read it, and even leading some to do so. The Movie Guide for The Encyclopedia of Arda (an online Tolkien encyclopedia) states that Jackson's films were exceptional since filming the whole story of The Lord of the Rings was probably impossible. This notion is partially supported by a review published in 2005 that otherwise criticized a lack of "faithfulness to Tolkien's spirit and tone." Douglas Kellner argues that the conservative community spirit of Tolkien's Shire is reflected in Jackson's films as well as the division of the Fellowship into "squabbling races". In a 2006 review, film theorist Kristin Thompson was critical about the fact that film studies were undertaken by literary researchers and about the frequent denigration of Jackson's work in the collected essays. The release of the films saw a surge of interest in The Lord of the Rings and Tolkien's other works, vastly increasing his impact on popular culture. The success of the films spawned numerous video games and many other kinds of merchandise. It was rumored that the Tolkien family became split on the series, with Christopher Tolkien and his son Simon Tolkien feuding over whether or not it was a good idea to adapt. Christopher has since denied these claims, saying, "My own position is that The Lord of the Rings is peculiarly unsuitable to transformation into visual dramatic form. The suggestions that have been made that I 'disapprove' of the films, even to the extent of thinking ill of those with whom I may differ, are wholly without foundation." He added that he had never "expressed any such feeling". In 2012, however, he described the films as having "eviscerated" the book, and criticized the resulting "commercialisation" of his father's work. As a result of the series' success, Peter Jackson has become a major figure in the film business (sometimes called a mogul) in the mold of Steven Spielberg and George Lucas, in the process befriending some industry heavyweights like Bryan Singer and Frank Darabont. Jackson has since founded his own film production company, Wingnut Films, as well as Wingnut Interactive, a video game company. He was also finally given a chance to remake King Kong in 2005. The film was a critical and box office success, although not as successful as The Lord of the Rings series. Jackson has been called a "favourite son" of New Zealand. 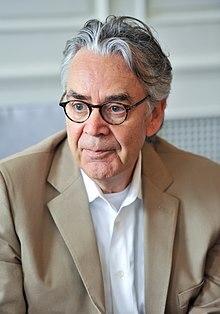 In 2004, Howard Shore toured with The Lord of the Rings Symphony, playing two hours of the score. Along with the Harry Potter films, the series has renewed interest in the fantasy film genre. Tourism for New Zealand is up, possibly due to its exposure in the series, with the country's tourism industry waking up to an audience's familiarity. Air New Zealand painted this Airbus A320 in The Lord of the Rings livery to help promote the films. In December 2002, The Lord of the Rings Motion Picture Trilogy: The Exhibition opened at the Te Papa museum in Wellington, New Zealand. As of 2007, the exhibition has traveled to seven other cities around the world. A musical adaptation of the book was launched in Toronto, Ontario, Canada, in 2006, but it closed after mostly poor reviews. A shortened version opened in London, United Kingdom, in the summer of 2007. The legacy of The Lord of the Rings is also that of court cases over profits from the trilogy. Sixteen cast members (Noel Appleby [de], Jed Brophy, Mark Ferguson, Ray Henwood, Bruce Hopkins, William Johnson, Nathaniel Lees, Sarah McLeod, Ian Mune, Paul Norell, Craig Parker, Robert Pollock, Martyn Sanderson, Peter Tait and Stephen Ure [de]) sued over the lack of revenue from merchandise bearing their appearance. The case was resolved out of court in 2008. The settlement came too late for Appleby, who died of cancer in 2007. Saul Zaentz also filed a lawsuit in 2004 claiming he had not been paid all of his royalties. The next year, Jackson himself sued the studio over profits from the first film, slowing development of the Hobbit prequels until late 2007. The Tolkien Trust filed a lawsuit in February 2008, for violating Tolkien's original deal over the rights that they would earn 7.5% of the gross from any films based on his works. The Trust sought compensation of $150 million. A judge denied them this option, but allowed them to win compensation from the act of the studio ignoring the contract itself. On 8 September 2009, the dispute was settled. The success of the Lord of the Rings trilogy led to Jackson directing a trilogy of prequels based on Tolkien's children's book The Hobbit. The films, which were released between 2012 and 2014, used much of the cast and crew of The Lord of the Rings, including Ian McKellen, Andy Serkis, Hugo Weaving, Elijah Wood, Ian Holm (as older Bilbo), Christopher Lee, Cate Blanchett and Orlando Bloom who reprised their roles. Although the Hobbit films were even more commercially successful than The Lord of the Rings, they received mixed reviews from critics. Numerous video games were released to supplement the film series. They include: The Two Towers, Pinball, The Return of the King, The Third Age, The Third Age (GBA), Tactics, The Battle for Middle-earth, The Battle for Middle-earth II, The Battle for Middle-earth II: The Rise of the Witch-king, The Lord of the Rings Online, Conquest, Aragorn's Quest, War in the North, Lego The Lord of the Rings, Guardians of Middle-earth, Lego The Hobbit (video game), Middle-earth: Shadow of Mordor, and Middle-earth: Shadow of War. ^ "'Hobbit' Trilogy Has Cost $561 Million So Far". Archived from the original on 13 January 2014. Retrieved 31 December 2013. ^ The Lord of the Rings: Popular Culture in Global Context. Retrieved 6 August 2014. ^ "Can Harry Potter work his magic on Oscar?". The Hamilton Spectator. McClatchy-Tribune News Service. 26 November 2010. Archived from the original on 7 December 2013. Retrieved 3 December 2013. ^ Kaino, Lorna (16 November 2016). "What Difference Does a Museum Make? TE Papa's Contribution to the New Zealand Economy". Media International Australia incorporating Culture and Policy. 117 (1): 31–42. doi:10.1177/1329878X0511700105. ^ "The Lord of the Rings: The Fellowship of the Ring". Rotten Tomatoes. Archived from the original on 9 July 2006. Retrieved 12 October 2006. ^ "The Lord of the Rings: The Two Towers". Rotten Tomatoes. Archived from the original on 29 November 2006. Retrieved 12 October 2006. ^ "The Lord of the Rings: The Return of the King". Rotten Tomatoes. Archived from the original on 9 July 2006. Retrieved 12 October 2006. ^ "Peter Jackson interview". Explorations (the Barnes & Noble Science Fiction newsletter). October – November 2001. ^ Ian Nathan (28 November 2003). "Peter Jackson". Empire. p. 90. ^ a b c Brian Sibley (2006). "Cheats, Spooks, Hobbits and Apes". Peter Jackson: A Film-maker's Journey. London: Harper Collins. pp. 310–328. ISBN 0-00-717558-2. ^ Watkin, Tim (12 August 2001). "The 'Rings' movies, a potted history". The New Zealand Herald. Retrieved 21 December 2006. ^ a b c d e f g Brian Sibley (2006). "Quest for the Ring". Peter Jackson: A Film-maker's Journey. London: Harper Collins. pp. 329–87. ISBN 0-00-717558-2. ^ a b c d e f g h i j k l m n o p The Lord of the Rings: The Fellowship of the Ring Appendices (DVD). New Line Cinema. 2002. ^ "10 Things You Know About The LOTR Movies (That Aren't True)". theonering.net. Archived from the original on 26 July 2014. ^ Head, Steve (13 December 2002). "An interview with Peter Jackson". IGN. Archived from the original on 22 February 2009. Retrieved 24 October 2006. ^ a b c d e f g The Lord of the Rings: The Two Towers "Appendices" (DVD). New Line Cinema. 2003. ^ Russell, Gary (2003). The Art of the Two Towers. Harper Collins. ISBN 0-00-713564-5. ^ a b Braun, J.W. (2009). The Lord of the Films. ECW Press. ISBN 978-1-55022-890-8. ^ a b c d e f The Lord of the Rings: The Return of the King "Appendices" (DVD). New Line Cinema. 2004. ^ "Hobbiton is being built". The One Ring.net. 12 April 2006. Archived from the original on 11 October 2007. Retrieved 15 October 2006. ^ French, Lawrence (2005). Paul A. Woods (ed.). Peter Jackson From Gore to Mordor – Ray Harryhausen visits Middle-earth. Nexus. pp. 149–150. ISBN 978-0-85965-356-5. ^ a b c d Sibley, Brian (2002). The Making of the Movie Trilogy. Harper Collins. ISBN 978-0-618-26022-5. ^ "Lord of the Rings: The Fellowship of the Ring cast". Yahoo! Movies. Archived from the original on 9 November 2006. Retrieved 20 November 2006. ^ "The Lord of the Rings: The Two Towers cast". Yahoo! Movies. Archived from the original on 11 January 2007. Retrieved 20 November 2006. ^ "The Lord of the Rings: The Return of the King cast". Yahoo! Movies. Retrieved 20 November 2006. ^ Dennis Lloyd (19 November 2003). "iPod helped to make Lord of the Rings". iLounge. Archived from the original on 17 December 2007. ^ "Hey, what happened to Saruman?". CNN. 17 December 2003. Archived from the original on 25 May 2005. Retrieved 15 October 2006. ^ Knowles, Harry (17 December 2000). "There and Back Again: A Geek's Adventures in Middle-earth, CHAPTER FOUR!". Ain't It Cool News. Archived from the original on 26 March 2007. Retrieved 15 October 2006. ^ "Peter Jackson talks of Lord of the Rings Ultimate Box Set". The Movie Blog.com. Archived from the original on 28 December 2007. Retrieved 14 January 2005. ^ Davidson, Paul (15 August 2000). "Lord of the Rings Composer Confirmed". IGN. Archived from the original on 31 August 2011. Retrieved 14 November 2006. ^ "Lord of the Rings voted 'best movie soundtrack'". BBC News. 7 November 2015. Archived from the original on 20 November 2015. Retrieved 22 November 2015. ^ "Lord of the Rings News | LoTR movie internet trailer preview". Xenite.org. Archived from the original on 21 August 2008. Retrieved 30 April 2010. ^ Davidson, Paul (15 May 2001). "IGN: LOTR Footage Wows Journalists". Uk.movies.ign.com. Archived from the original on 15 February 2012. Retrieved 30 April 2010. ^ Davidson, Paul (25 January 2002). "A Longer Fellowship Ending?". IGN. News Corporation. Archived from the original on 13 July 2011. Retrieved 21 February 2011. ^ "Movie Answer Man". rogerebert.com. Archived from the original on 30 August 2009. ^ "MovieWeb.com's News for 23 September 2003, last retrieved on 5 August 2006". Movieweb.com. Archived from the original on 26 July 2008. Retrieved 30 April 2010. ^ Patrizio, Andy (8 December 2004). "The Lord of the Rings: The Return of the King (Special Extended Edition)". IGN. News Corporation. Archived from the original on 13 July 2011. Retrieved 21 February 2011. ^ "The Lord of the Rings Trilogy Hits Blu-ray April 6!". ComingSoon.net. Archived from the original on 16 December 2009. Retrieved 13 December 2009. ^ "'The Lord of the Rings' Extended Edition Heads To Blu-Ray". MTV. Archived from the original on 11 March 2011. Retrieved 11 March 2011. ^ Dellamorte, Andre (20 June 2011). "The Lord of the Rings: The Motion Picture Trilogy: Extended Edition Blu-ray Review Archived 18 September 2012 at the Wayback Machine". Collider.com. Retrieved 21 September 2012. ^ Demosthenes (1 February 2014). "The Lord of the Rings: The Fellowship of the Ring coming soon in five-disc blu-ray steelbook format". theonering.net. Archived from the original on 26 October 2016. Retrieved 26 October 2016. ^ Palmer, Michael (29 August 2012). "The Lord of the Rings: The Fellowship of the Ring - Extended Edition". bluray.highdefdigest.com. Archived from the original on 27 October 2016. Retrieved 26 October 2016. ^ "The Fellowship of the Ring (2001)". Box Office Mojo. Archived from the original on 23 October 2013. Retrieved 31 July 2012. ^ "The Two Towers (2002)". Box Office Mojo. Archived from the original on 20 October 2013. Retrieved 31 July 2012. ^ "The Return of the King (2003)". Box Office Mojo. Archived from the original on 14 October 2013. Retrieved 31 July 2012. ^ "The Lord of the Rings Moviesat the Box Office)". Box Office Mojo. Archived from the original on 20 July 2014. Retrieved 21 July 2014. ^ "The 10 Most Successful Movie Trilogies Of All Time". therichest.com. 5 October 2015. Archived from the original on 12 December 2015. Retrieved 26 October 2016. ^ "The Lord of the Rings Total Grosses". boxofficemojo.com. Archived from the original on 20 August 2016. Retrieved 26 October 2016. ^ "Most Oscars won by a film". guinnessworldrecords.com. Archived from the original on 14 March 2016. Retrieved 26 October 2016. ^ a b "The Fellowship of the Ring". Rotten Tomatoes. Archived from the original on 22 August 2012. Retrieved 7 September 2017. ^ a b "The Two Towers". Rotten Tomatoes. Archived from the original on 25 August 2012. Retrieved 7 September 2017. ^ a b "The Return of the King". Rotten Tomatoes. Archived from the original on 1 September 2012. Retrieved 7 September 2017. ^ a b "The Fellowship of the Ring (2001): Reviews". Metacritic. Archived from the original on 9 January 2014. Retrieved 5 December 2009. ^ a b "The Two Towers (2002): Reviews". Metacritic. Archived from the original on 2 February 2013. Retrieved 5 December 2009. ^ a b "The Return of the King (2003): Reviews". Metacritic. Archived from the original on 9 January 2014. Retrieved 5 December 2009. ^ Dietz, Jason (3 January 2010). "Film Critics Pick the Best Movies of the Decade". metacritic.com. Archived from the original on 3 April 2016. Retrieved 26 October 2016. ^ "Movie Releases by Score". metacritic.com. Archived from the original on 17 July 2016. Retrieved 26 October 2016. ^ a b c d "Cinemascore". Cinemascore.com. Archived from the original on 19 January 2015. Retrieved 22 January 2015. ^ James Berardinelli. "Berardinelli's All-Time Top 100". Reelviews. Retrieved 16 March 2007. ^ Susan Wloszczyna (2 July 2007). "Hollywood highlights: 25 movies with real impact". USA Today. Archived from the original on 7 July 2007. Retrieved 3 July 2007. ^ "The 50 Best Movies of the Decade (2000–2009)". Paste Magazine. 3 November 2009. Archived from the original on 8 December 2011. Retrieved 14 December 2011. ^ Corliss, Richard (29 December 2009). "The Lord of the Rings trilogy (2001–03) – Best Movies, TV, Books and Theater of the Decade". TIME. Archived from the original on 1 May 2011. Retrieved 22 April 2011. ^ "The 33 Greatest Movie Trilogies - 1. The Lord of the Rings - Empire". empireonline.com. Archived from the original on 22 December 2014. ^ a b McNamara, Mary (2 December 2010). "Critic's Notebook: Can 'Harry Potter' ever capture Oscar magic?". Los Angeles Times. Archived from the original on 7 December 2013. Retrieved 3 December 2013. ^ "New York film critics honor 'Rings'". MSNBC. 15 December 2003. Archived from the original on 27 September 2012. Retrieved 10 March 2011. ^ Leo Grin. "Tolkien Purists Strike Back!". Archived from the original on 28 December 2007. Retrieved 28 December 2007. ^ "The Lord of the Rings: the purist edition". Archived from the original on 22 September 2007. Retrieved 28 December 2007. ^ Akers-Jordan, Cathy (1 January 2005). "Fairy Princess or Tragic Heroine? The Metamorphosis of Arwen Undomiel in Peter Jackson's The Lord of the Rings Films". In Croft, Janet Brennan (ed.). Tolkien on Film: Essays on Peter Jackson’s The Lord of the Rings. Altadena: Mythopoeic Press. ISBN 978-1-887726-09-2. ^ Chance, Jane (1 January 2005). "Tolkien's Women (and Men): The Films and the Books". In Croft, Janet Brennan (ed.). Tolkien on Film: Essays on Peter Jackson’s The Lord of the Rings. Altadena: Mythopoeic Press. ISBN 978-1-887726-09-2. ^ Gaydosik, Victoria (1 January 2005). "The Transformation of Tolkien's Arwen and the Abandonment of the Psyche Archetype: The Lord of the Rings on the Page and on the Screen". In Croft, Janet Brennan (ed.). Tolkien on Film: Essays on Peter Jackson’s The Lord of the Rings. Altadena: Mythopoeic Press. ISBN 978-1-887726-09-2. ^ Thum, Maureen (1 January 2005). "The "Sub-Subcreation" of Galadriel, Arwen, and Éowyn: Tolkien's Women and The Lord of the Rings". In Croft, Janet Brennan (ed.). Tolkien on Film: Essays on Peter Jackson’s The Lord of the Rings. Altadena: Mythopoeic Press. ISBN 978-1-887726-09-2. ^ Mitchell, Philip Irving. "A Beginner's Guide to Tolkien Criticism". Dallas Baptist University. Archived from the original on 30 April 2012. Retrieved 24 July 2012. ^ "A Select Bibliography of Works about John Ronald Reuel Tolkien (1892–1973)". St. Bonaventure University. Archived from the original on 17 June 2013. Retrieved 24 July 2012. ^ Croft, Janet Brennan. "Anticipation and Flattening in Peter Jackson's The Fellowship of the Ring". faculty-staff.ou.edu. University of Oklahoma. Archived from the original on 31 October 2011. Retrieved 11 November 2011. ^ Crowe, Joe (21 November 2005). "Tolkien on Film: Review". RevolutionSF. Archived from the original on 29 November 2009. Retrieved 23 June 2009. ^ Timmons, Dan (1 January 2005). "Frodo on Film: Peter Jackson's Problematic Portrayal". In Croft, Janet Brennan (ed.). Tolkien on Film: Essays on Peter Jackson’s The Lord of the Rings. Altadena: Mythopoeic Press. ISBN 978-1-887726-09-2. ^ Wiggins, Kayla McKinney (1 January 2005). "The Epic Hero and the Little Man". In Croft, Janet Brennan (ed.). Tolkien on Film: Essays on Peter Jackson’s The Lord of the Rings. Altadena: Mythopoeic Press. ISBN 978-1-887726-09-2. ^ Rutledge, Fleming (2004). The Battle for Middle-Earth: Tolkien's Divine Design in The Lord of the Rings. William B. Eerdmans Publishing Company. p. 176, note 39. ISBN 0-8028-2497-8. ^ a b "5th Anniversary of TTT release [Archive] - The Barrow-Downs Discussion Forum". Forum.barrowdowns.com. 18 December 2007. Archived from the original on 8 July 2013. Retrieved 16 June 2013. ^ Croft, Jannet Brennan (1 January 2005). "Mithril Coats and Tin Ears: 'Anticipation' and 'Flattening' in Peter Jackson's The Lord of the Rings Trilogy". In Croft, Janet Brennan (ed.). Tolkien on Film: Essays on Peter Jackson’s The Lord of the Rings. Altadena: Mythopoeic Press. ISBN 978-1-887726-09-2. ^ "20 Questions with Peter Jackson. Last retrieved 16 September 2006". Members.tripod.com. Retrieved 30 April 2010. ^ "Lord of the Rings Movies – Complete List of Film Changes – Overview – The Hobbit, The Lord of the Rings, and Tolkien – The One Ring – The Home of Tolkien Online". Theonering.com. Archived from the original on 17 July 2011. Retrieved 30 April 2010. ^ "The Encyclopedia of Arda". Glyphweb.com. Archived from the original on 29 April 2010. Retrieved 30 April 2010. ^ Bratman, David (1 January 2005). "Summa Jacksonica: A Reply to Defenses of Peter Jackson's Lord of the Rings films, after St. Thomas Aquinas". In Croft, Janet Brennan (ed.). Tolkien on Film: Essays on Peter Jackson’s The Lord of the Rings. Altadena: Mythopoeic Press. ISBN 978-1-887726-09-2. It's Jackson's vision, not Tolkien's ... The perfect film would have been 40 hours long. ^ Kellner, Douglas (2006). "The Lord of the Rings as Allegory: A Multiperspectivist Reading". In Matthijs, Ernest; Pomerance, Murray (eds.). From Hobbits to Hollywood: Essays on Peter Jackson's Lord of the Rings. Amsterdam: Editions Rodopi. pp. 21, 23. ISBN 978-90-420-1682-8. ^ Thompson, Kristin (2006). "Tolkien on Film: Essays on Peter Jackson's 'The Lord of the Rings' (review)". Tolkien Studies. 3: 222–228. doi:10.1353/tks.2006.0035. ^ a b Rérolle, Raphaëlle (5 July 2012). "Tolkien, l'anneau de la discorde". Le Monde. Retrieved 4 August 2012. Ils ont éviscéré le livre, en en faisant un film d'action pour les 15–25 ans. Et il paraît que Le Hobbit sera du même acabit. [...] Tolkien est devenu un monstre, dévoré par sa popularité et absorbé par l'absurdité de l'époque. Le fossé qui s'est creusé entre la beauté, le sérieux de l'œuvre, et ce qu'elle est devenue, tout cela me dépasse. Un tel degré de commercialisation réduit à rien la portée esthétique et philosophique de cette création. Il ne me reste qu'une seule solution : tourner la tête. ^ Gilsdorf, Ethan (16 November 2003). "Lord of the Gold Ring". The Boston Globe. Archived from the original on 27 August 2006. Retrieved 16 June 2006. ^ "Feud over 'Rings' movie splits Tolkien family". The New Zealand Herald. 3 December 2001. ^ "Tolkien's son denies rift". BBC News. 7 December 2001. Archived from the original on 15 March 2009. ^ "My Father's "Eviscerated"". Worldcrunch.com. 5 December 2012. Archived from the original on 10 February 2013. ^ "NZer of the year: Peter Jackson". The New Zealand Herald. 29 December 2001. ^ "Movie Tourism in New Zealand". Archived from the original on 20 November 2005. ^ "New Zealand, Home of Middle-earth". The New Zealand Herald. Archived from the original on 10 August 2006. ^ Bruce Hopkins (8 October 2008). "New Zealand actors settle out of court with New Line". TheOneRing.net. Archived from the original on 11 October 2008. Retrieved 9 October 2008. ^ Benjamin Svetkey (4 October 2007). "'The Hobbit': Peace in Middle-Earth?". Entertainment Weekly. Archived from the original on 5 October 2007. Retrieved 5 October 2007. ^ "J.R.R. Tolkien Trust Sues New Line Cinema for Portion of 'Lord of the Rings' Profits". findlaw.com. Archived from the original on 23 March 2008. ^ Alex Viega (12 February 2008). "Tolkien Estate Sues New Line Cinema". San Francisco Chronicle. Associated Press. Archived from the original on 17 April 2008. Retrieved 3 May 2008. ^ "No punitive damages in Rings case". BBC News. 26 September 2008. Archived from the original on 29 September 2008. Retrieved 27 September 2008. ^ Alex Dobuzinskis (8 September 2009). "Legal settlement clears way for "Hobbit" movie". Reuters. Archived from the original on 11 September 2009. Retrieved 8 September 2009. The Hollywood studio behind a film based on 'The Hobbit' and trustees for author J.R.R. Tolkien's estate said on Tuesday they had settled a lawsuit that clears the way for what is expected to be a blockbuster movie based on the book. Wikimedia Commons has media related to The Lord of the Rings film trilogy.